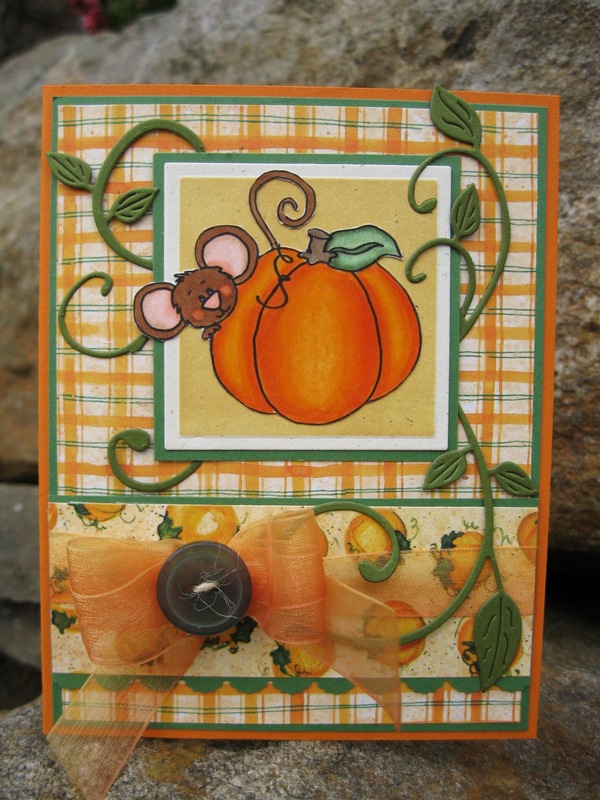 Beautifully colored pumpkin, Janice and the sheer ribbon with the button is the perfect touch! This is just as sweet as can be... and you dp is delish! Janice...love your adorable autumn Cocoa card! The papers are fabulous and that Cheery Lynn die is gorgeous...I just ordered one the other day and now that I've seen your card, can't wait until it arrives! Janice I just love this!! Such a cute Autumn card. I love the papers, great coloring and the vines are the perfect touch. Ohhh WONDERFUL! I love how you twisted this to the side!!! GREAT work! Sweet card! I have a few pieces of this dp too - and it looks great with your Cocoa image :) Love the ribbon! This is just so gorgeous! I love the sketch on its side, too! i love that die hunni what a gorgeous creation,thanks for joining us at dutch dare with our dies and punches theme, wishing you the best of luck in our challenge.